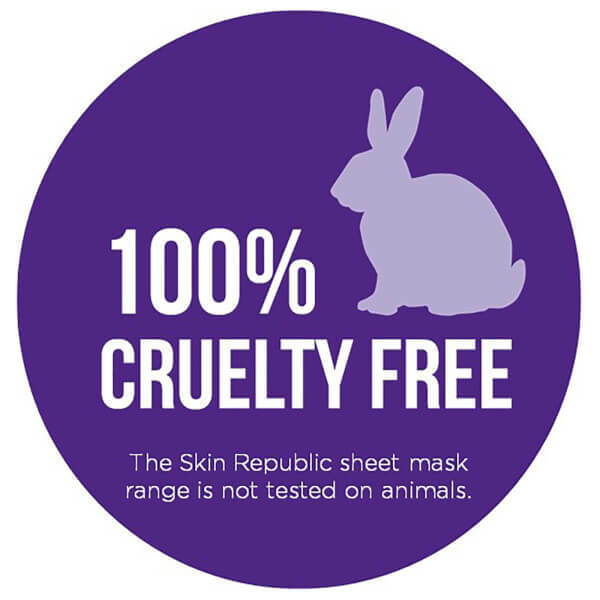 Rediscover youthful skin with Skin Republic Collagen Infusion Face Mask, an anti-ageing face mask sheet that provides deep level action to help firm, smooth and tone the appearance of your skin. Delivering nutrients and intense moisture with close and continuous contact, the treatment is dedicated to rejuvenating and hydrating the complexion. 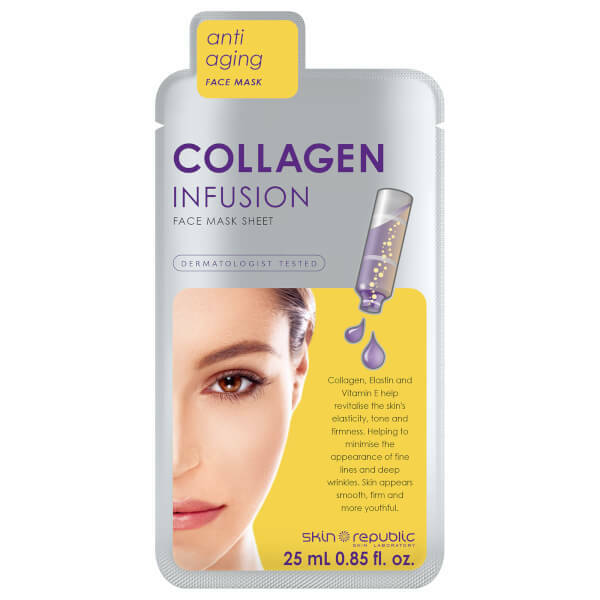 Combining Collagen with Elastin and Vitamin E, the mask performs a firming and toning effect on skin whilst intensely boosting moisture to reveal a more youthful look; fine lines and wrinkles are smoothened and elasticity and strength is enhanced. Rich in vitamins and antioxidants, the mask helps fight free radical damage and slows down signs of ageing. Its dose of Wheat Amino Acids encourages the growth of new tissue to promote healing and rejuvenation. Skin is smooth, toned and revitalised. 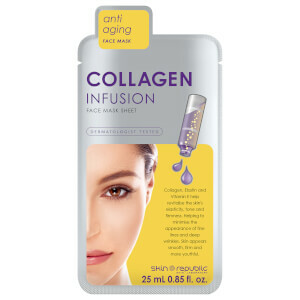 Collagen - maintains skin elasticity and strength. Elastin - a water binding agent that gives skin flexibility and smoothens wrinkles. Wheat Amino Acids - hydrolysed plant protein that encourages new tissue growth, healing and rejuvenation.